Are you frustrated by the high installation costs of many HVAC units? Tired of feeling you have to decide between being freezing cold and paying far too much money for a heating system? Good news — an electric heater is the perfect solution. Not only are they an incredibly effective heating option for your home, they’re also safe and affordable. You can even handle heater installation on your own, saving you more money in the process. Of course, learning how to install a wall heater correctly requires a little patience, elbow grease, and above all, the right instructions. 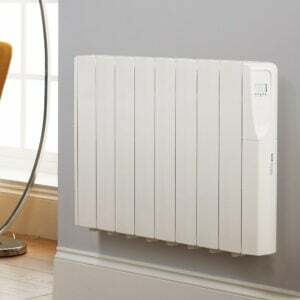 Keep on reading this post to master the process of wall mounting your electric heater. When you’re ready to install wall mounted electric radiators, you first need to ensure that you’ve taken the time to gather the right supplies. You’ll need a screwdriver, some safety goggles, (because you can never be too careful) and a wall marking pencil to start with. You’ll also need the template/instructions that came with your unit, as well as the provided mounting brackets. You’ll also need a drill bit and a hammer drill. A hammer drill is a better choice than a more traditional drill, because it will give you an extra bit of force. Especially if you’re drilling into thick walls, or if you know there’s something behind the wall that may present a challenge, a hammer drill will make it easier. 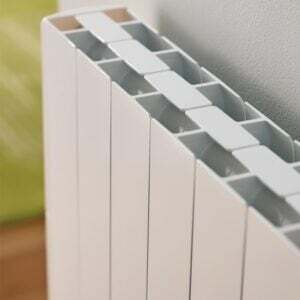 During this process, you should also think about where you want to place your electric radiator. Remember that you want to avoid putting it directly behind furniture or long curtains if at all possible. Though doing so isn’t an enormous safety risk, it does mean that it will be hard for the heater to keep the temperature even throughout a room. This is because your furniture will block the airflow. If possible, we suggest that you place any wall heaters you plan to use inside your home directly underneath a window to promote better, even heating. Also ensure that you’ve purchased the correct size of heater for the room itself. Now that you’ve gathered the necessary supplies, it’s time to talk you through the actual installation process. Even if you’re not exactly the handiest person in the world, we’re certain that you’ll be relieved by the simplicity of the process. The first thing that you need to do? 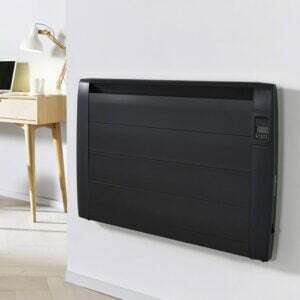 Mark the wall where you plan to install your electric heater. You need to make a pencil mark where you plan to place each of the brackets. You may also want to consider using a leveler to ensure that everything is properly aligned. Then, you’ll need to put on your safety goggles, because it’s time to drill! Pick up your hammer drill and drill into the places where you’ve made the pencil marks. This is where the actual brackets will go in a moment. Now that you’ve set the scene, it’s time to finish the process. Make sure that your brackets are completely aligned with the holes you’ve drilled into your wall. Once you’re certain that they’re where they need to be, grab a hold of your screwdriver and slowly, steadily screw the brackets into the wall. You’ll know that you’ve done a good job when the brackets don’t move around at all, even when you lightly pull on them. Always make sure that you check your work. The last thing in the world you want is to end up damaging your new electric radiator because the brackets weren’t able to properly support it. After that, it’s time to actually hang the radiator itself! Make sure that the unit is lined up exactly with the brackets, and then hang it from them. You’ll know you’ve put it in the right place when it’s not tilting in any way. Once you’re sure that everything is aligned correctly, then you can start screwing in the safety screws (if you’ve been given them.) These aren’t usually required, but they will help to ensure that your unit always stays connected to the brackets on the wall. Now that the most difficult part of the installation process is over, it’s time for the easiest part yet — plugging in your heater. In general, you should try to avoid plugging the unit into a power or extension cord if at all possible, for safety reasons. In most cases, a 13-amp power socket will be enough to do the trick — that’s the standard size for most power outlets. One final word of caution. 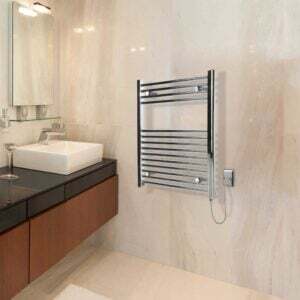 If you’re considering putting an electric radiator in the bathroom, or anywhere else where it might be exposed to high amounts of water, have a professional install it for you. It’s just not worth the safety risk that can sometimes come with a DIY option. 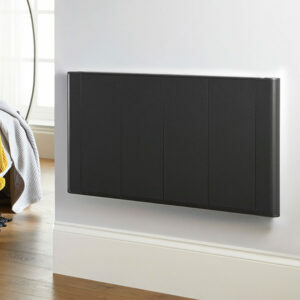 Looking for the Perfect Electric Heater? No matter which room you want to make a bit warmer in your home, an electric heater is a safe, effective, and affordable way to do it. We hope that you’ve found this guide to how to install a wall heater as straightforward and simple as the process itself! Of course, before you can install anything, you need to ensure you’ve chosen the right heater for your needs. Spend some time on our website to access product reviews, more installation advice, and additional tips on keeping your home warm.